The start of fall for me brings thoughts of creamy soups and spicy dishes to help warm you up from the inside out. It also brings my wedding anniversary, so I decided to take one of my husband’s favourite things, hot and spicy ginger, and amp it up a bit. 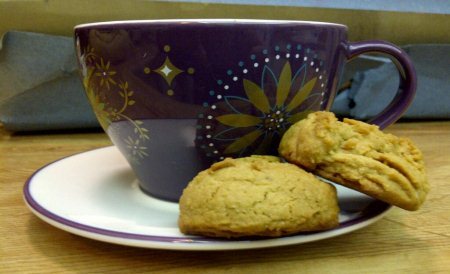 I found this great Ginger Snap Recipe and just upped the ginger quotient by doubling the amount of fresh ginger in the recipe. The cookies came out delicious, chewy in the middle with just enough crispness on the outside for texture. I think the key is not to overbake them. I trusted the recipe, even though they didn’t seem quite done and they were perfect. Bring on the fall colours!